We're celebrating Thanksgiving here in the states this coming Thursday, and I'll be taking off until next week to spend some much needed time with family and hopefully some old friends from back home. 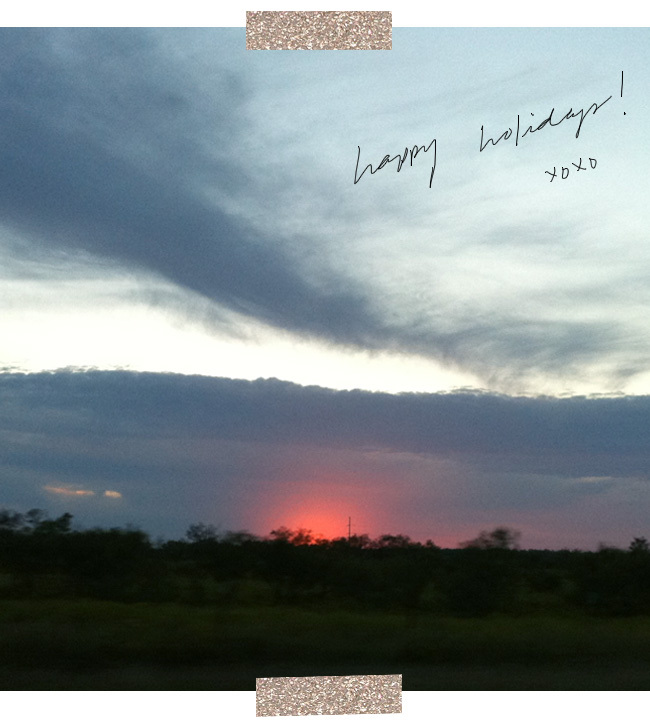 Here's a little card from me to you! My husband and I will be soaking in this spectacular view of of the countryside on the drive home. Maybe he'll pull over so his oh-my-gosh!-we-need-to-capture-this-moment wife can snap a few pretty shots to show you all?? :) There are so many things I'm thankful for, and among them, I'm incredibly thankful to be able to share my thoughts and hopes with all of you! You guys are absolutely amazing with your support and encouragement, and I can't thank you enough. Cheers to YOU!! Happy Thanksgiving to you :) Have a lovely time! Thanks so much, Liz! It was good to be home. :) Hope you had a great time also!